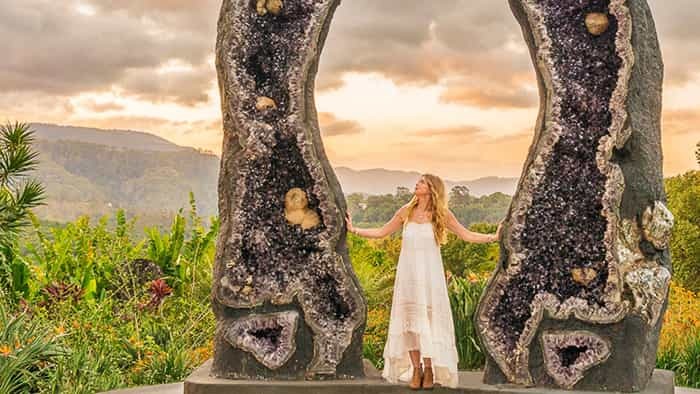 There is so much to see and do in the beautiful northern rivers region of NSW and Ocean Shores Motel makes a perfect base for exploring the area. With easy freeway access, we are just five minutes north of Brunswick Heads, 15 minutes north of Byron Bay, 35 minutes south of Gold Coast Airport, and 35 minutes north of Ballina Byron Airport.
. For your convenience, Delivery King, taxis and Uber service our area. 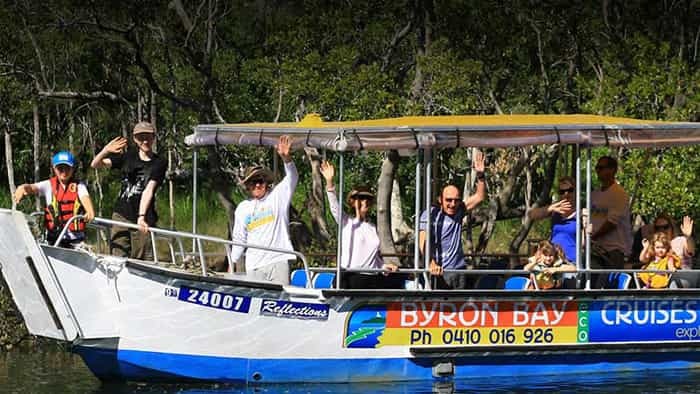 Relax and let us spoil you with great local plunger coffee, selection of teas, hot chocolate, delicious gourmet cakes and biscuits, as you glide gently along on a Brunswick River cruise enjoying the wonderful scenery and wildlife. Be entertained by our fun, informative commentary on the area’s fascinating history, environment, local aboriginal culture and bush stories. Having survived the wreckers’ ball and the ravages of time, this iconic building’s revival has set the stage for a vibrant and charismatic mix of film, circus, cabaret, music and family-friendly entertainment. 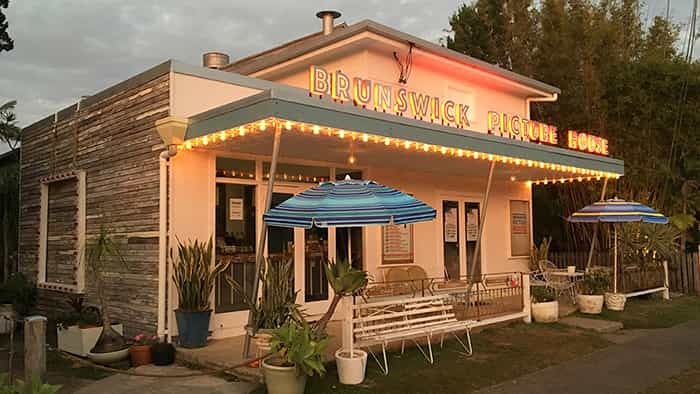 The Brunswick Picture House is a local landmark for the community, for people to meet, be inspired, gossip, laugh and be entertained. Situated on a hilltop the Club boasts spectacular panoramic hinterland and ocean views looking all the way down to Cape Byron Lighthouse. 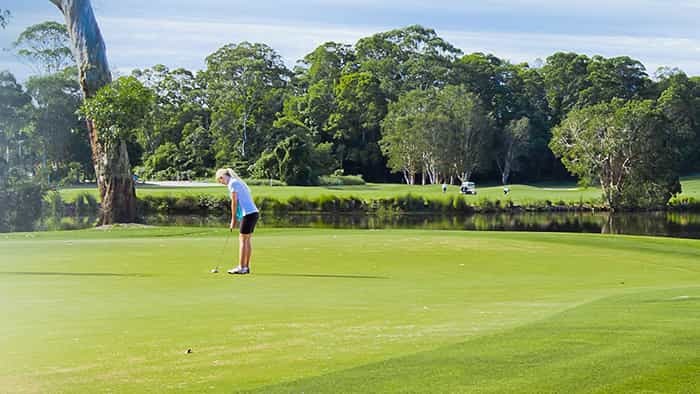 The Club hosts a renowned championship golf course, bowling greens, restaurant, full bar facilities, function rooms, gaming facilities and kids club. Built at the turn of the 19th century to protect ships passing along the coast, Cape Byron Lighthouse stands resolute on the most easterly point of the Australian mainland. 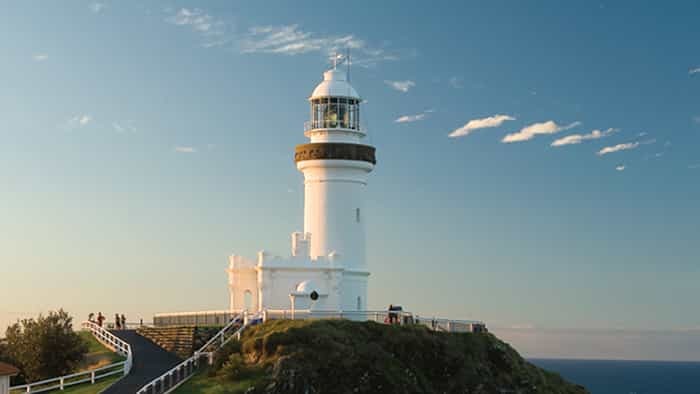 Operated by resident keepers until 1989, its now automated light is clearly visible from Byron Bay township. Learn more about this iconic white tower and find out about shipwrecks and stories from the sea in the Maritime Museum below. You’ll enjoy some of the best views of the ocean and hinterland on the entire coast, including regular sightings of turtles, dolphins and humpback whales. Wander through the stunning Shambhala Gardens and rainforest. Find yourself in an ancient labyrinth. Touch the World Peace Stupa, a project blessed by the Dalai Lama. Be in awe of the Enchanted Cave, the largest amethyst cave in the world, and also the world’s tallest geode pair, The Crystal Guardians. Indulge in delicious views, local coffee and food. 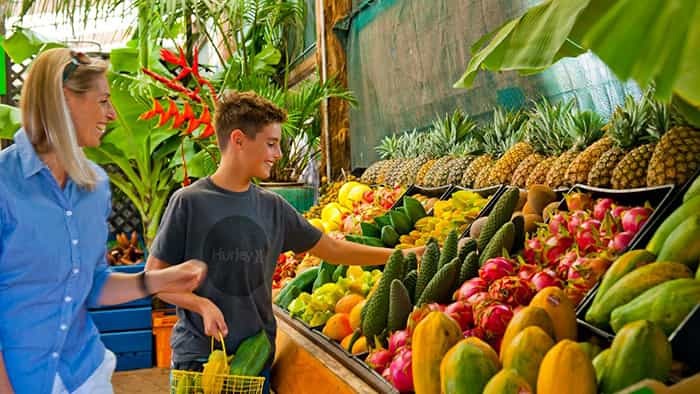 More than a tourist attraction, and more than a commercial farm, Tropical Fruit World is a labor of love, a fruit farm of inimitable value. Since 1983, Tropical Fruit World has trail blazed in linking fruit farming with tourism. Set amongst rainforest, water catchments and the rolling volcanic mineral soil from the caldera of Mount Warning, this working fruit farm is situated in the prime environment to grow over 500 fruits from right throughout the world.